1. Floor Ceiling Runners — Channel-shaped, min 3-1/2 in. wide with min 1-1/4 in. legs, fabricated from min No. 20 MSG (0.0329 in. min bare metal thickness) steel or No. 20 MSG (0.033 in. thick) galvanized steel. Attached to floor and ceiling with steel fasteners spaced not greater than 24 in. O.C. 2. Steel Studs — Corrosion protected steel studs, min 3-1/2 in. wide, min No. 20 MSG (0.0329 in., min bare metal thickness) steel or min No. 20 GSG (0.036 in. thick) galvanized steel or No. 20 MSG (0.033 in. thick) cold formed, primed steel. Studs shall be designed in accordance with the current edition of the Specification for the Design of Cold-Formed Steel Structural Members by the American Iron and Steel Institute. All design details enhancing the structural integrity of the wall assembly, including the axial design load of the studs, shall be as specified by the steel stud designer and/or producer and shall meet the requirements of all applicable local code agencies. The max stud spacing shall not exceed 24 in. O.C. Studs attached to floor and ceiling runners with 1/2 in. long Type S-12 steel screws on both sides of studs. 3. 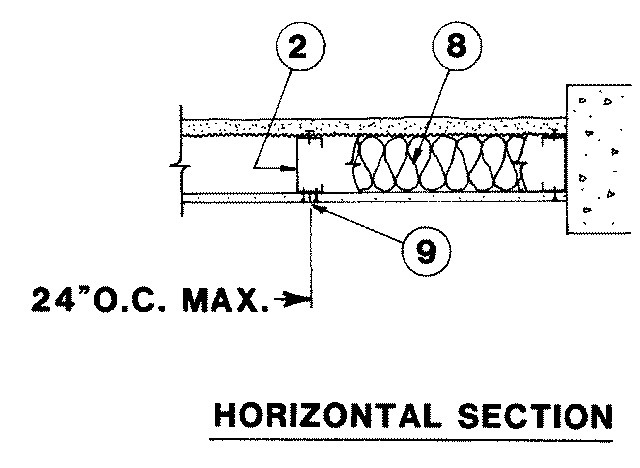 Lateral Support Members — (Not shown) - Where required for lateral support of studs, support may be provided by means of steel straps, channels, or other similar means as specified in the design of a particular steel stud wall system. 4. Gypsum Board* — Any 5/8 in. thick UL Classified Gypsum Board that is eligible for use in Design Nos. L501, G512 or U305. Nom 5/8 in. thick gypsum board applied vertically with joints fastened to studs with 1 in. long Type S-12 steel screws, spaced 12 in. O.C. 4A. Wall and Partition Facings and Accessories* — (As an alternate to Item 4) — Nominal 5/8 in. thick, 4 ft wide panels, applied vertically and secured as described in Item 4. 4B. 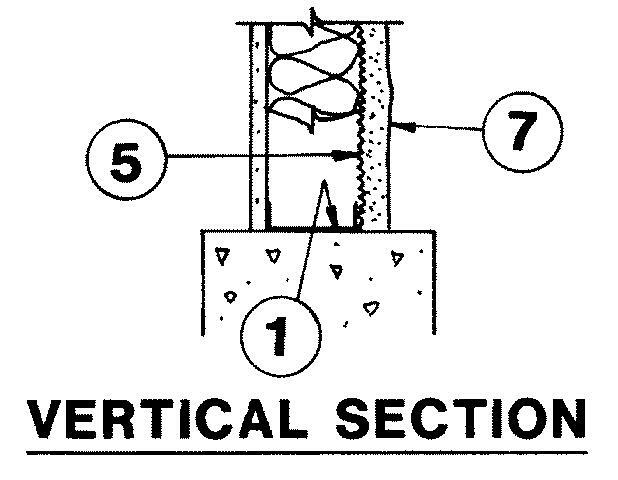 Wall and Partition Facings and Accessories* — (As an alternate to Item 4 and 4A) — Nominal 5/8 in. thick, 4 ft wide panels, applied vertically and secured as described in Item 4. 5. Metal Lath — - Paper backed small diamond mesh, expanded steel, min 3.4 lb/sq yd, 27 by 96 in. sheets. Attached to studs and floor and ceiling runners with steel screws (Item 6). May also be attached to lateral support members wherever practical. 6. 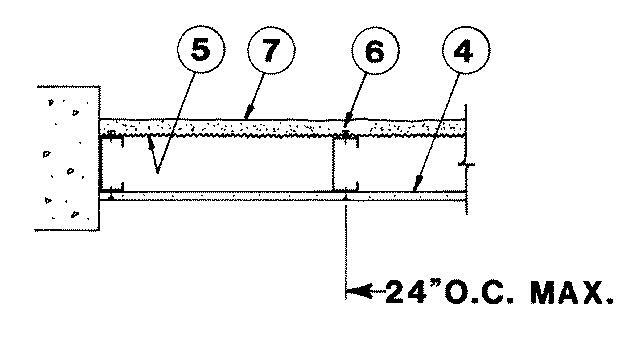 Fasteners — For use with metal lath (Item 5) No. 8-18 by 1 in. long Phillips flat head steel screws. The screw head diameter is a min 1/2 in. Spaced 6 in. O.C. 7. Portland Cement Plaster — 7/8 in. thick. Applied in two coats: Scratch coat consisting of 100 lb cement to 50 lb lime to 5- 1/2 cu ft of sand; brown coat consisting of 100 lb cement to 50 lb lime to 6 cu ft of sand. 8. Batts and Blankets* — (Optional) - Placed in stud cavities. 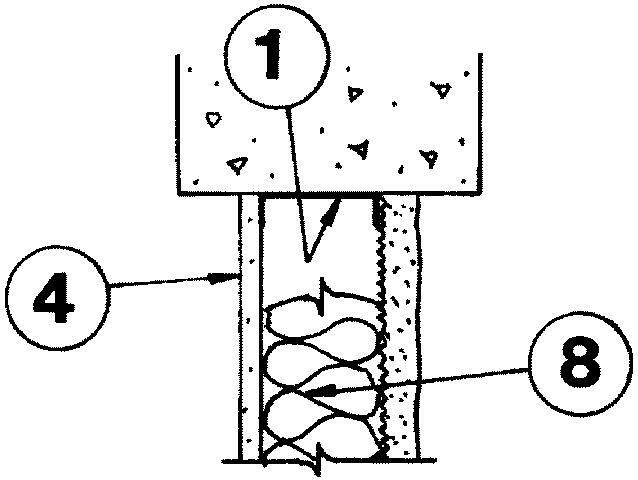 Any glass fiber or mineral wool batt material bearing the UL Classification Marking as to Fire Resistance. Max thickness 3-1/2 in. 8B. Fiber, Sprayed* — As an alternate to Batts and Blankets (Item 8) - Spray applied cellulose insulation material. The fiber is applied with water to interior surfaces in accordance with the application instructions supplied with the product. Applied to completely fill the enclosed cavity. Minimum dry density of 4.3 pounds per cubic ft.
8D. Fiber, Sprayed* — As an alternate to Batts and Blankets (Item 8) - Spray-applied cellulose material. The fiber is applied with water to completely fill the enclosed cavity in accordance with the application instructions supplied with the product. To facilitate the installation of the material, any thin, woven or non-woven netting may be attached by any means possible to the outer face the studs. The material shall reach equilibrium moisture content before the installation of materials on either face of the studs. The minimum dry density shall be 5.79 lbs/ft3. 9. Joint Tape and Compound — Vinyl or casein, dry or premixed joint compound applied in two coats to joints and screw heads. Perforated paper tape 2 in. wide embedded in fist layer of compound over all joints of gypsum wallboard.